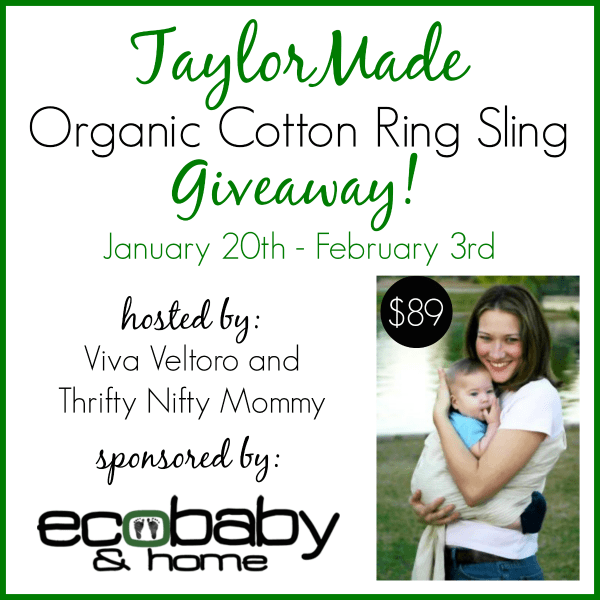 Welcome to the TaylorMade Organic Cotton Ring Sling Giveaway, hosted by Viva Veltoro and Thrifty Nifty Mommy, and sponsored by EcoBaby & Home! 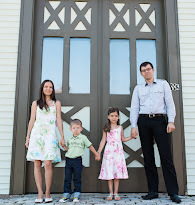 As a small business owner myself, I love helping other moms who are business owners as well. I also love babywearing as you know and were avid babywearers with both of our kids. So this event was a perfect blend of two things I'm passionate about and I'm excited to help promote this Eco-friendly baby store here at Eco-Babyz! This lovely shop, based out of Naples, Florida is a place where you can find all things natural and eco-friendly. They feature educational toys, cloth diapers and accessories, breastfeeding supplies, nursing bras, baby carriers, as well as playgroups, classes/events and support groups. The products they offer are made with the least amount of adverse impact to our environment. EcoBaby & Home has a fabulous selection of natural parenting products including cloth diapers and accessories from bumGenius, Blueberry, Flips, Thirsties, Best Bottom, Sweet Pea, EcoPosh, Rumparooz, Geffen Baby, and more! Their babywearing selection of wraps, slings, and soft structured carriers is amazing. Beco, Babyhawk, Tula, Boba, Comfy Joey, Catbird Baby, Girasol, Onya, Sakura Bloom.. the list goes on! They even have a diaper service and diaper and baby carrier rental programs! To show their love of babywearing, EcoBaby & Home wants to give one lucky reader a TaylorMade Organic Cotton Ring Sling, valued at $89! Unpadded for ease of use and maximum versatility. Wear your baby or toddler in five positions, from newborn to 35 pounds. Open tail for discreet breastfeeding, cover from the sun, or anything! To enter to win this lovely sling, just use the Giveaway Tools form below. Open to the US only, ages 18 and up. Ends on 2/3/14 at 11:59 PM EST. I would love Girasol Bronze Rainbow Woven Wrap! I love the Sleeveless Mei Tai Wrap T-Shirt & Nursing Shirt!